A pantry from the depression era might look very different from the one you have in some ways. There were not many pre-packaged foods or quick meals and there wasn't very much in the way of pre-made snacks for kids, either. However, creating your pantry to look more like one did during the depression era can save you a lot of money and allow you to make a lot of the items you buy now from scratch to save you even more. 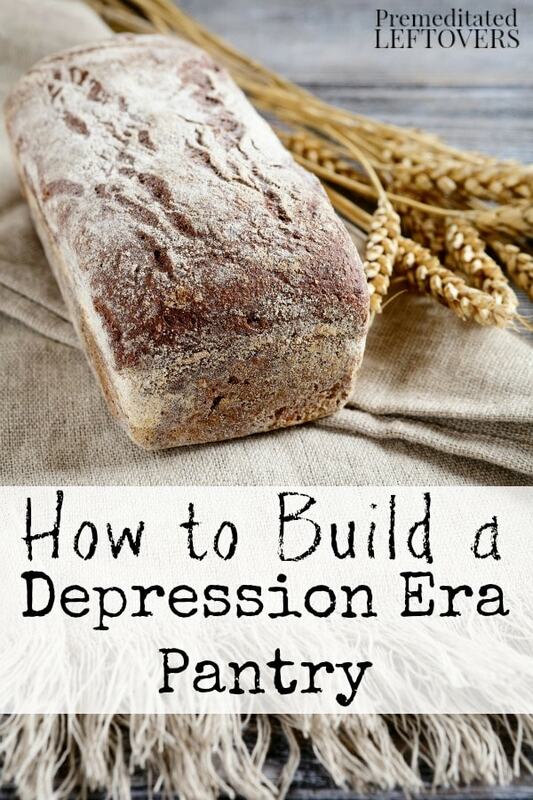 If you are looking to go back to some old fashioned ways in order to save some cash, here are some tips on How to Build a Depression Era Pantry. Go back to basics. Depression era pantries didn't have a lot of extras or packaged goods. They relied heavily on foods that could be bought in what we consider bulk today. This meant they bought a lot of ingredients rather than ready made food. The pantry consisted of flour for making things like bread or using as fillers, honey as a sweetener, salt for seasoning everything, cornmeal for making grits and cornbread and so on. Depending on where you lived often determined what was readily available. These days, you can buy most basics at the bulk areas of certain grocery stores. When deciding what to have on hand, think as whole food as possible and skip pre-made mixes. Have lots of beans on hand. Since meat was expensive and many families could not afford to have it every day or every meal as many of us do now, many people relied on beans to act as a source of protein as well as a way to stretch meat further. I do this today when I make soups, casseroles, and skillet meals. Beans are an excellent way to save money in many recipes. You can buy bulk dried beans for far cheaper than canned ones, too. Cooking with dried beans is pretty simple and there are several ways to do it. Have a lot of seasonings. Seasoning was another item most cooks loved to have on hand. Although getting them might have been more of a challenge than it is today. Because depression era cooking was so basic, it was important to have seasonings to add lots of flavor. Many cooks grew their own herbs in pots and dehydrated them to save for later. Lucky us that we have more options now, although growing herbs indoors or out is still a very simple thing to do as well. Consider gardening so you may can things later. During these desperate times, most families found ways to grow much of their own food in the form of gardening or raising animals if they had the space. If you have the space to garden on a larger scale, considering growing some foods that you may can for later use to add to your stockpile the way that depression era pantry builders did. Dehydrate foods. I have always wanted a dehydrator. Dehydrating foods is a great way to use extra supplies that you have and not let it go to waste as well as create shelf stable foods. During the depression, many families didn't have very good ways to refrigerate as refrigerators for home use had just been invented a decade or two earlier and they were often out of many people's budget. This meant that they had to find ways to keep foods shelf-stable. 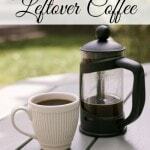 Dehydrating is a good way to do this as dehydrated foods will last for months. 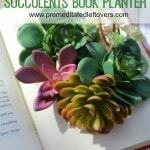 I love this idea, not only great on the pocketbook but much healthier than pre packaged junk! 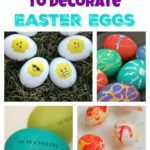 pinning for resource, great article! This is an interesting post! Thanks for sharing your idea. Christine, I don’t use mixes and packaged, convenience foods. 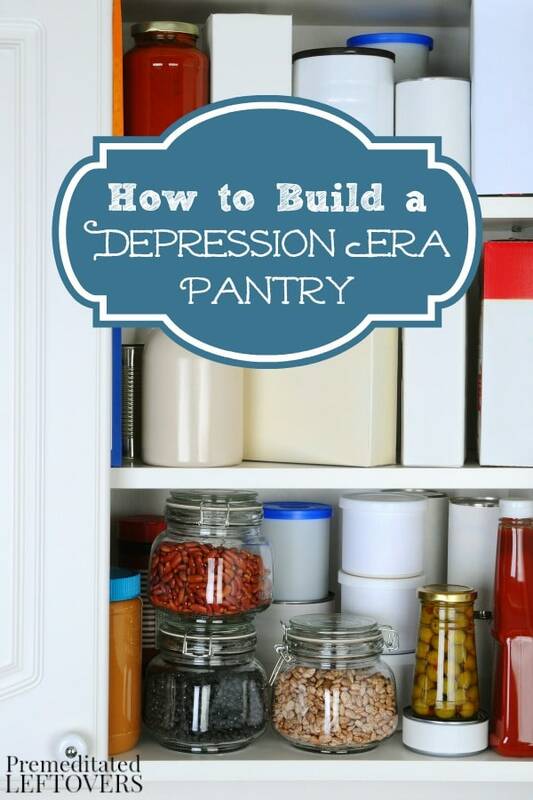 Never thought of it, but I guess I have a “depression era pantry!” I usually think of it as my all-natural whole-foods organic old hippie chick pantry! Love that you’re showing others how it’s done. Keep up the good work. This is how I love to keep my pantry! I may not have frozen pancakes (we would run out of those in 3 days), but I have flour, sugar, and an egg (or vegetable oil if I am out of eggs)! My daughter has a recipe for eggless pancakes. She eleven and loves making from scratch. We have a garden and I do blanch and freeze some veggies but learning to can is on my list of things to learn. I also plan to start making my own bread. You can’t make grits from cornmeal. Grits is coarser ground than cornmeal. You can cook cornmeal to make “mush” to eat as a hot cereal, or let it cool in a bread pan to slice and fry. It’s just about the same deal as Italian polenta. This is a genuine depression-era dish. My mother cooked it frequently. I have the depression era cookbook.